On 21 September 2016, Government of India approved the merger of the Railway Budget with the Union budget of India, and thus came to end — a 92-year-old practice of separate rail and general budgets. The decision of merger was taken along with advancing the date of the Union Budget in the Parliament under the process of budgetary reforms taken up by the government. Earlier, NITI Aayog (National Institution for Transforming India), which constituted a committee headed by economist and NITI Aayog member Bibek Debroy, produced a whitepaper and recommended that the British-era practise should be phased out. The recommendations were forwarded to the Railway Ministry, after which former railway minister Suresh Prabhu, in a letter, urged Arun Jaitley to merge the Railway Budget with the general budget for the long-term interest of both the railways and the country’s economy. After raising the matter in the Rajya Sabha, Finance Minister Arun Jaitley constituted a committee to chart out the future course of action. The practice of a separate Railway Budget was started by the British in 1924 under the recommendation of a 10-member Acworth Committee headed by British economist William Mitchell Acworth in 1920-21. Then the country’s gross domestic product (GDP) mostly depended on railway’s revenue, in fact, then the Railway Budget was 84 per cent of the general budget. But over the years, the size of the rail budget diminished in comparison with the general budget. In the past, every year the Railway Budget was presented in the Parliament by the Railway Minister few days prior to the general budget. On 25 February 2016, Suresh Prabhu became the last railway minister to present a separate Railway Budget in the parliament. Next year on 1 February 2017, Arun Jaitley became the first Finance Minister to present a combined railway and general budget. The NITI Aayog committee headed by Bibek Debroy noted that a separate Railway Budget was just an annual ritual that should be done away with. The report stated that as the size of the Railway Budget has shrunken when compared to the overall general budget, presenting the Railway Budget separately is not required. The report further stated that India is the only country in the world with a separate Railway Budget. In fact all the countries that Acworth Committee report mentioned had separate Railway Budget but have discontinued the practice. The committee also noted that the Railway Budget is not a legal or constitutional requirement like the Union Budget. Also the committee observed that over the years the spending of other ministries such as defence, road transport, highways, petroleum and natural gas had overtaken the spending of Indian Railways, even though these ministries functioned without a separate budget. Another observation of the committee was that the Railway Budget was used as a political tool with decisions on new trains, routes, fare hikes were getting influenced because of political considerations. The biggest benefit for the Railways of no separate budget would be that now the Railways won’t have to pay an estimated Rs 97 billion (Rs 9,700 crore) to the government as an annual dividend for gross budgetary support. Also, capital charge of Rs 2.27 trillion will be wiped off. Thus the merger would help the Railways increase its capital expenditure. With the merger the size of the general budget will increase which will begood for the country’s economy. Also now the Parliament has to consider only a single Appropriation Bill instead of two Appropriation Billsthereby saving precious timeof the Parliament. 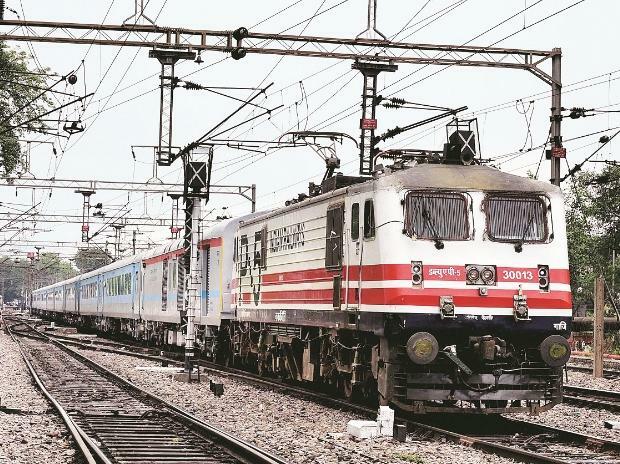 Due to the merger, the Railways Ministry, which requires huge investments and has a burden of about Rs 400 billion (Rs 40,000 crore) due to 7th Pay Commission recommendations and Rs 32,000 due to subsidies will no longer have to deal with these problematic issues. No separate Railway Budget will also mean that Railways can now concentrate better on revenue generation and other related tasks. Thing such as capital expenditure and revenue deficit will now be taken care by the Finance Ministry. While the government has assured that the functional autonomy of the Railways will be maintained, the annual speech of the Railway Minister will surely be missed.